SINN FÉIN AND Fianna Fáil have disputed leaked legal advice to Irish Water that water charges cannot be abolished. Today’s Irish Times and Irish Examiner report on legal advice that the utility got in the wake of the general election which says that there is no option under EU law to return to not charging for water. The papers report that the advice states that Ireland can no longer avail of a derogation from charges under the EU Water Framework Directive having legislated for their introduction in 2013. In light of recent queries regarding water charges, independent legal advice was sought by Ervia, which confirms that, under European law, Ireland is now obliged to charge for water services. This tallies with legal advice TheJournal.ie obtained as part of its FactCheck on the abolition of water charges last month. The article concluded that the EU Water Framework Directive would be a major legal obstacle to scrapping charges. But Sinn Féin disputed this today, with Dublin MEP Lynn Boylan insisting that there was nothing to stop Ireland from reverting back to paying for water through general taxation. She called on Irish Water to publish the legal opinion in full. However, the utility did not respond to a query from TheJournal.ie about whether it would publish the advice. Boylan argued that the European Commission had stated “in black and white” that there is no obligation on any EU member state to use any particular method or scheme to recover the cost of water provision. “We have it in black and white from the Commission, regardless of a legal opinion or not, saying that there’s no obligation on Ireland to use individual consumption to be fully in compliance with the water framework directive. We have that in black and white,” she said. She said that the derogation is written into the Water Framework Directive and cannot be removed unless there is a legislative change at EU level which requires the agreement of all 28 member states. “It’s [the derogation] not only open to Ireland and it has been used in the past by Scotland, by the North of Ireland, by the Czech Republic, by Bulgaria and by regions in France,” she said. It’s a flexibility that’s written into the Water Framework Directive to allow that the people who manage the water to have flexibility around full cost recovery. She described the timing of the leaked legal opinion as “very suspicious” claiming it allowed Fianna Fáil to “get off the hook” and say it cannot abolish water charges. Its public expenditure spokesperson Seán Fleming insisted that the framework directive allows member states an opt-out of water charges. He added: “Even without the opt-out clause in Article 9.4 of the EU water directive, the government’s own flat-rate water charges would not be compliant with the principle of incentive water pricing included in the directive. We do not believe there is any basis for concluding from the directive that any future Irish government is tied to water charges. In fact, we believe it is entirely possible for the next government to suspend water charges and invest in our water infrastructure. 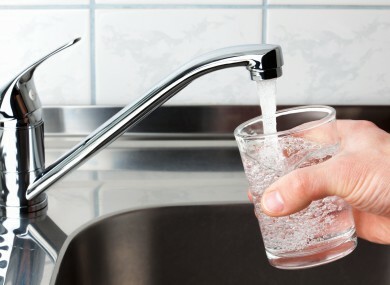 Email “Leaked legal advice claims water charges can't be scrapped - but some aren't so sure”. Feedback on “Leaked legal advice claims water charges can't be scrapped - but some aren't so sure”.